Remember playing pinball in your neighborhood bar, cafe, or even laundromat? Pinball is art and technology united for fun, and Pinball Donut Girl is a fun comedy about Matt and Julie, who meet in a donut shop that still has a pinball machine. Re-discover pinball in this indie comedy about love in a donut shop. Starring Jane Weidlin (The Gogo’s, Star Trek), Bailey Hopkins (All About Evil) and Brian J Patterson (Batman: Battle for the Cowl). the hit television series about several noble houses vying for the Iron Throne of the Seven Kingdoms. 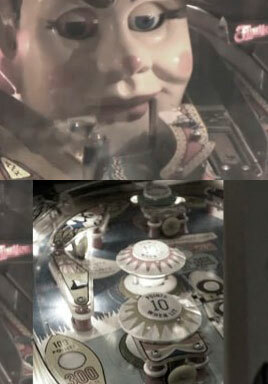 A cool video showing why Chicagoans love pinball. Stern Pinball moved recently to a new 110,000-square-foot facility. Get Lost in the intricate details of these Amazing Pinball Machines. These 10 classic rock pinball machines stand tall above the rest. See the features on youtube. Do you know how much your pinball is worth? Going to a Pinball and Arcade show this season? Pertzborn's People featuring Dennis Dodel's Outstanding Pinball collection. Before hitting it on the music scene with is Pinball Machine recording for Starday, Lonnie was a truck triver for the Hennis Truck LInes out of Winston-Salem, North Carolina. Some of the Participants and goings on at the Pinferno Vll Pinball tournament at Reciprocal Skateboards in NYC! The Pinball Price Guide, Ninth Edition by Pinballeric™ is for anyone—collector, buyer, or seller—trying to determine the current value and fair price of a pinball machine. It covers the price values of over 2000 collectible games produced for the U.S. market from 1931–2012. The Pinball Price Guide, Ninth Edition by Pinballeric™ is unique in that it breaks down pricing by three grades of condition: Class 1-Best, Class 2-Good, Class 3-OK. In addition to the Guide’s Pinball Game Price Charts and the Pinball Collectors Market Report, there are four new articles written by industry experts who discuss specific areas of collecting: Electro-Mechanical, Woodrails, Prewar (Flipperless), and Bingo-style pinball. 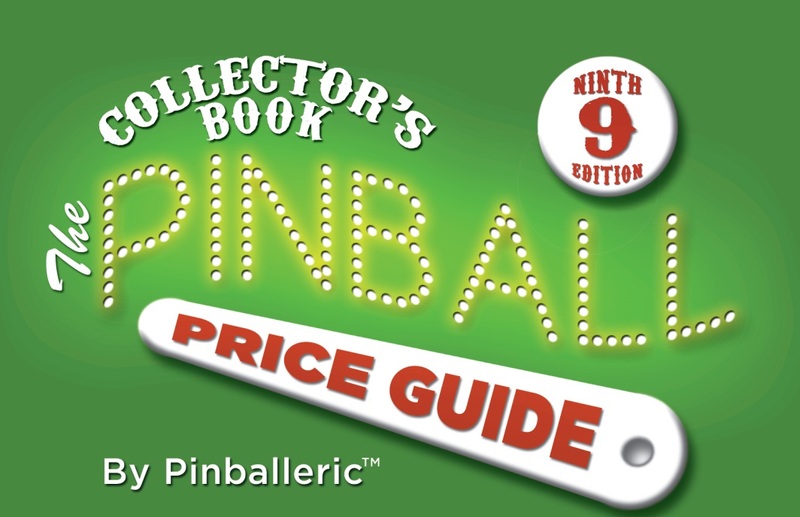 Whether you are an established or beginning collector, trying to determine the value of a game found in the basement, or looking for an addition to your collection, The Pinball Price Guide, Ninth Edition by Pinballeric™, is an essential resource that points you in the right direction when buying or selling a pinball machine. Serving the pinball hobbyist since 1977 and dedicated to keeping pinball affordable, The Pinball Resource, located at 8 Commerce Street in Poughkeepsie, NY, stocks the broadest range of pinball parts in the world. The Pinball Resource offers vintage and new parts from Williams, Bally/Midway, and Data East/Sega/Stern Pinball, as well as manufactures many of the Gottlieb® parts. The Pinball Resource features a huge library of books, schematics, manuals, parts catalogs, and repair guides.